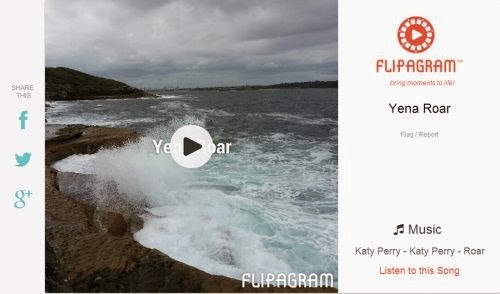 One of my photog friends has been experimenting with Flipagram, an app which merges still images and adds a soundtrack to create a video like clip. I thought I'd give it a test run and was reasonably happy with the possibilities. It has some great music tracks for free with a 30 second limit which is ample. It would be a great way to record some memories of locations and could be immediately uploaded. 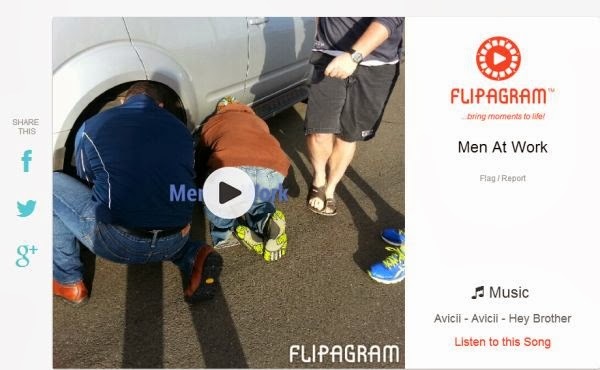 Had great fun creating one of the boys changing a tyre down on the Bombo photoshoot.